It isn’t easy being a country that’s hated by most of its neighbors. Israel decided to play fair and smart and prove worthy of existing. 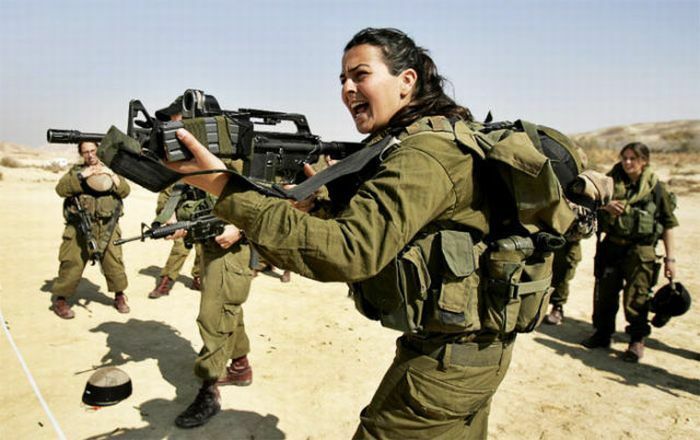 In Israel, it’s mandatory for women to serve 24 months and men, 36 months in the armed forces. This ensures that if ever a war is called upon, the entire adult population of the country will be able to contribute to the fight. They have never lost a single war in the past 69 years. The country also has the best missile defense system, they defuse the enemy missile out of the sky using their own missile. This is called the Iron Dome and it has 90% of the times been successful. Though crazy the technique surely has given them fruitful results. Bhutan is a peace loving country, not known by many. 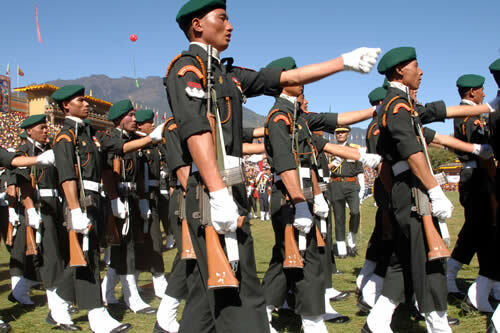 The small country that’s tucked in the Himalayas has the smallest army on this list. With a manpower of only 6000 men, people would think an invasion wouldn’t be tough. The country was only attacked once by the one and only, British. Thereafter, they were never attacked and still won’t be for 2 main reasons. Being, 3000 meters above sea level makes it a tough location to invade. The other factor is India’s support to the country. India helps their soldiers with the training, weapons, and money for the soldiers. In case they ever need protection then they have been promised the help of Indian army that consists of 1,200,000 soldiers. Well known as ‘Fortress Iran’, Iran has managed to stay away from invasions since the second World War. Iran has a manpower of around half million soldiers. 137 Aircrafts and 1658 Tanks, make Iran a competitive opponent for many countries. The country has many enemies but being in a mountainous terrain and sufficient enough to pitch battles makes it tough for their enemies to fight. They have a wide network of missile bases, as per the country’s government, 500 meters under every province and city. They have also started testing nuclear weapons which will make it even more tough to think about the invasion. A country that’s a floating desert in the middle of nowhere, that sounds scary already. Australia’s only possible and potential invasion can be carried out by Japan. Japan is the only country that is nearest and strongest to fight and get into Australia but that’s not happening anytime soon. The Japanese have been an ally of Australia for decades. The other countries cannot really consider invading as an option. The country has thousands of kilometers of desert area where the army can easily conduct guerilla raids. Japan did try invading the country once but never went ahead with the plan and the reasons can be well understood. No country has ever been able to invade Japan, not even the Mongols. The Americans did defeat Japan, though that was only possible after some of the most powerful nukes were dropped on the country. Even after the defeat, Japan could never be completely invaded by anyone. The task that was never possible in the past might become impossible in future too. The country spent $4o billion on taking its army to the next level. 1590 Aircrafts, quarter million soldiers, and many tanks are prepped up to take over the best armies. 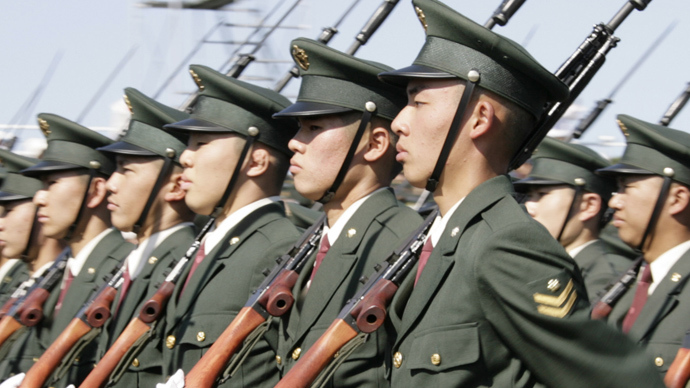 North Korea is a territory no one wishes to come in close contact with. The country has a lot to boast about and one of those things is its army. The manpower of more than million active soldiers, 222 attack helicopters, and 4,200 tanks give them one of the largest militaries. The country also has some seriously dangerous nuclear weapons that can easily reach Japan and South Korea, as well as the west coast of US. The country has sped up the testing of weapons, and there have been troop movements from their enemy side as well. This can indicate a possible invasion in the future. It’s tough being the biggest country in the world, but not when you are Russia. Napoleon and Hitler had to roll back out soon after they invaded and that gives enough reason to never think of invading this country. The country is surrounded by lots of snow and mountains which works in its favor. A reason for Hitler’s downfall was Russia’s trick in letting a part being invaded which left the Nazis freezing to death. With the fifth largest military in the world, they make sure that even today they can’t be won over. Apart from the manpower, they also have 350 warships and 3,500 military aircraft. Does anyone still wish to mess up with them? If yes, then they have 7,000 nuclear missiles. This gives enough reason to make them a part of this list. The climatic and geographical conditions of this country are frightful enough for any invading country. 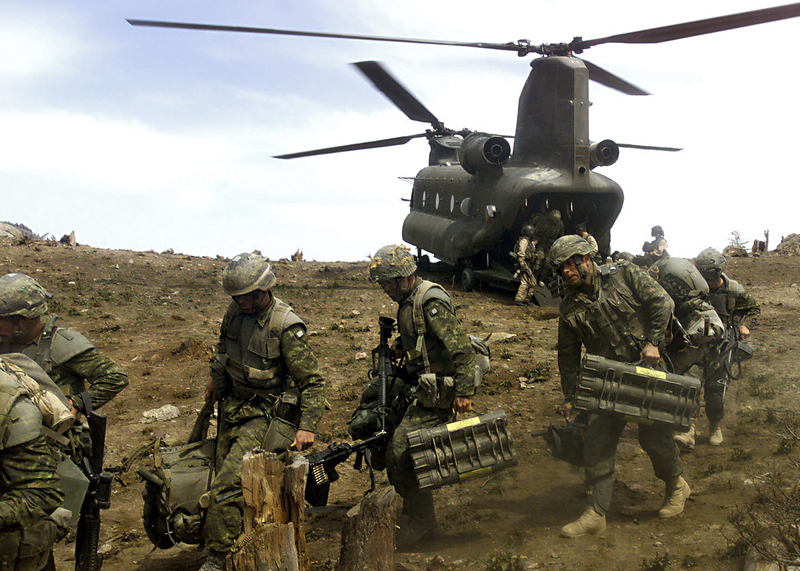 The Canadian army has 95,000 well-trained army professionals. Since most of its population live near the land border shared by the USA, it’s even more difficult to plan attacks. Invasion can only happen through crossing the USA or sailing through half frozen waters, both being equally dangerous and unsuccessful ways. The Swiss people seem to be far away from the concept of fights and wars. Though that’s not completely a lie, they still do keep themselves well prepared. 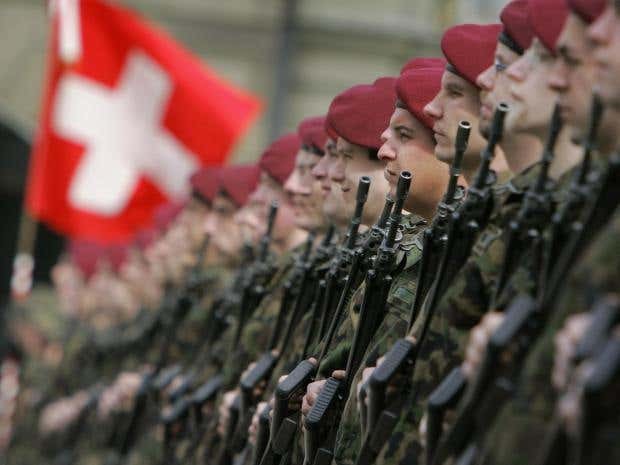 The 150,000 people army is trained to fight in the Alps. The country has been neutral since 1815, thus never being involved in any fights. They still do have a pretty strong backup if ever things go wrong, 156 aircraft and allowing soldiers to keep their weapons with them, at their homes means that there is no way out, without losing. The list couldn’t have ended without the USA being on the top. 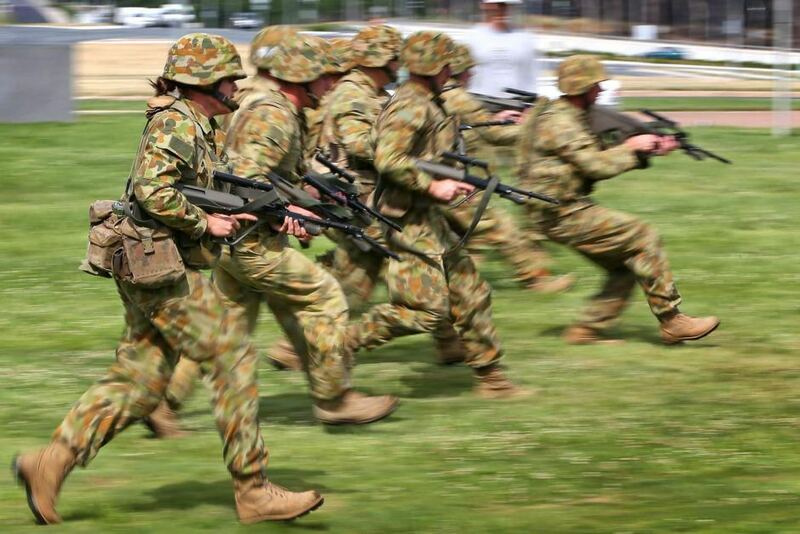 The country spends 7 times more than the highest spending countries on their army, on its army every year, i.e. $596 billion. 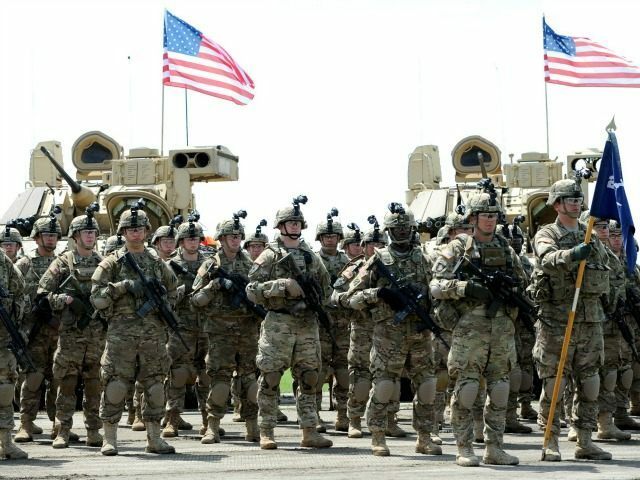 President Trump has proposed more expenditure of $54 billion which sums up Russia’s 80% of the entire military budget. With nukes so many that they can possibly wipe out all humans from the planet more than once, the country probably stands at the safest position in the world. In the 21st century when there is a new uprising every other day, let’s hope we do not get to witness a World War 3 anytime soon.